Due to its aesthetics and ease of attachment, a blockhouse can be used not only for exterior cladding of a house, but also inside buildings. Such a solution looks quite natural if the same material is used. 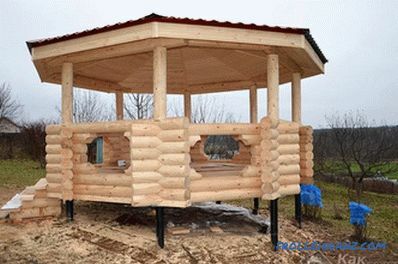 This allows you to withstand a single design style (including for wooden log houses from a typical bar). 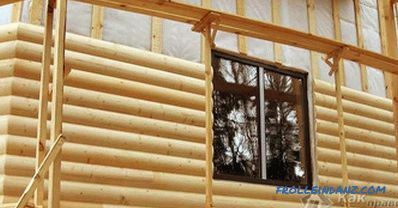 When assembling a log house from a log or a bar (using the “paw” principle), its external and internal surfaces, in the presence of lining, will look stricter and more elegant in any case. than without it. This allows you to give the building a traditionally “Russian” look. And, finally, additional insulation of the walls of the building and their protection from external climatic influences are provided. You can decorate a house with a blockhouse on your own, but you should consider some features of this designs. When purchasing a cladding cover, first of all you should make sure that your chosen samples have special connecting grooves. The fact is that there is a kind of blockhouse, the plates of which are devoid of such grooves, which considerably complicates their installation. 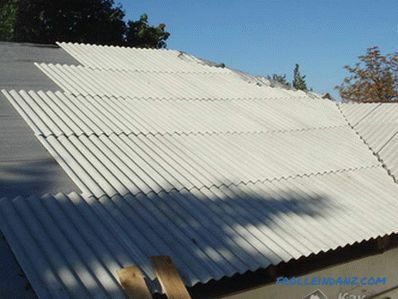 With regard to the conditions of work, here it must be remembered that fixing the coating can be done only after the final shrinkage of the structure. For fixing of the boards, sheathing is prepared mounted directly on the walls. The supporting structure is made of 30 * 30 mm bars, placed vertically in increments of approximately 60 cm. 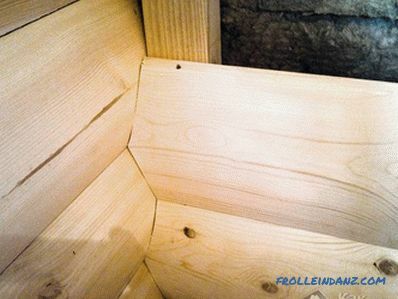 Before installing the frame, produced with ordinary nails, the bars are treated with a composition that protects the wood from fungus and prevents its rotting. 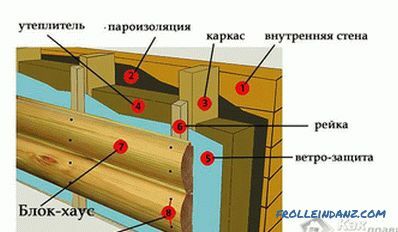 At the stage of arranging the lathing, it will be necessary to determine whether the insulation, which is usually placed between the blockhouse and the walls, will fit. By completing this work, you not only warm your home, but also ensure good sound insulation. After completing the frame assembly, you can proceed to the direct mounting of the decorative panels. 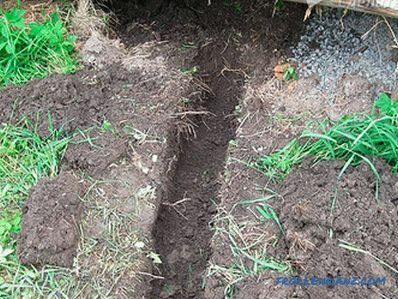 Regardless of the type of fastening, the works are performed from bottom to top. We should not forget that the blockhouse must be pre-treated with an antiseptic. nailing nails at an angle of 45 degrees into the groove. Clamped fastening provides wedging of the connecting lock, due to which the necessary strength and reliability of the decorative coating assembly is achieved. 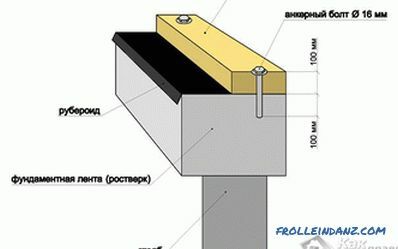 The undisputed advantage of this method of fixation is the concealment of the fasteners themselves and the ability to do without screws, which violate the integrity of the cladding material and increase the likelihood of its splitting. The second variant of fastening panels looks somewhat more complicated and needs additional preparation, which is produced as we sheathe the building with a blockhouse. 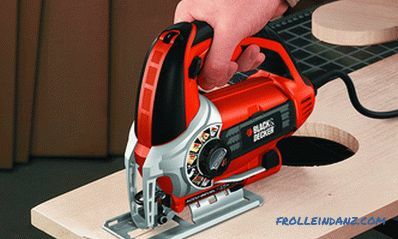 For its realization, a circular recess is made in the board half its thickness with a diameter equal to the size of the cap of the fastening screw. In this case, the screw is completely recessed in the hole, and the top is closed with a previously prepared stopper, which is subsequently ground to flush with the surface. A good alternative to wooden cork is a special paste of appropriate (wood) color, reliably protecting the screw cap from moisture and rust.